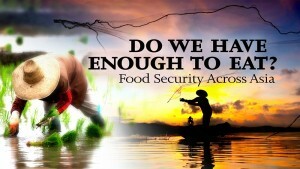 Asia is facing a fundamental food crisis which is impacting the obese as well as the undernourished. If governments are not quick to improve diets, the long-term impact on national health will be severe. How can leaders improve Asia’s food systems to allow for more balanced diets? How can Asia feed a vastly larger population going forward especially with the challenges of urbanization, climate change, and cross border food trade? Tamara Nair is Research Fellow at the Centre for Non-Traditional Security Studies (NTS Centre) at the S. Rajaratnam School of International Studies (RSIS), Nanyang Technological University. She graduated from the National University of Singapore (NUS) with a Bachelor’s Degree in Political Science and Geography and went on to train at the National Institute of Education (NIE). She obtained a Masters in Environmental Management, a Graduate Diploma in Arts Research and a PhD in Development Studies from the University of New South Wales in Sydney, Australia. She also holds a Professional Certificate in Project Management accredited by the Institute of Engineers, Singapore from Temasek Polytechnic. Dr Nair is the Coordinator of the Food Security Research Programme at the NTS Centre, RSIS. Her current research focuses on issues of power and the biopolitics of hunger in Southeast Asia and the Women, Peace and Security (WPS) agenda in the region. She is currently undertaking policy-based research in the Women, Peace and Security Programme at the NTS Centre. Her recent publications have focused on the systematic food insecurities of the Rohingya in Myanmar, and the disenfranchisement of marginalized communities, including women, in local development. She has published in development studies journals; writing on marginalized communities and sustainable development, power and subject creation, and ideas of citizenship. Kym Blechynden is the IFRC Regional Emergency Health Coordinator, based in Kuala Lumpur. She has worked in nutrition and food Security across Asia, the Middle East, the Pacific and Africa in emergency, post conflict and development settings with the Red Cross, INGO’s and United Nations agencies. In her current role with IFRC, she is responsible for providing emergency health and nutrition technical support to Red Cross/Red Crescent National Societies in 38 countries across the Asia Pacific region. Rajen Manicka is the Chairman and CEO of Holista Colltech Ltd, an Australian Stock Exchange-listed biotechnology company with a focus on natural health supplements and consumer products. An active member of the alternative medicinehealthstyle industry, Dato Dr. Rajen. M has held positions in the Ministry Industry-Government Group for High Technology, the Malaysian Pharmaceutical Society, and the Ministry of Health’s Standing Committee in Traditional Medicine. He has guest lectured at Universiti Malaya and International Medical University, and directed a course at Universiti Kebangsaan Malaysia. He is currently the Managing Editor of the Journal of Tropical Medicinal Plants, and has written for the Sunday Star’s Health Column since 1999. His articles have been published in the New Straits Times, Farm Magazine and The Edge.Dato Dr. Rajen. M obtained his Bachelor of Pharmacy (Hons.) from Universiti Sains Malaysia before undertaking a Masters in Business Administration at the University of Strathclyde, Scotland. He holds a Ph.D. in Holistic Medicine from the University of LaSalle, Louisiana, USA. Kavita Prakash-Mani is Executive Director of Grow Asia, a multi-stakeholder partnership platform that catalyzes action on inclusive, agricultural development in South-East Asia. The platform convenes governments, companies, farmers, NGOs, and other stakeholders to co-create value chain initiatives focused on smallholder farmers and environmental sustainability of agriculture. Grow Asia was established by the World Economic Forum in collaboration with the ASEAN Secretariat. Kavita founded Grow Asia in 2015 and oversees all aspects of Grow Asia’s strategy and operations. This includes launching and supporting a growing network of country partnerships and developing innovative, financial and digital solutions for smallholder farmers across Grow Asia’s network. Grow Asia aims to reach 10 million smallholders by 2020; improving their productivity, profitability and environmental sustainability by 20%. Kavita was previously the Head of Food Security Agenda at Syngenta where she piloted innovative business models focused on smallholder farmers and environmental sustainability globally, including in India, Tanzania and Brazil. She also helped design Syngenta’s Good Growth Plan, and led the engagement with the World Economic Forum’s Grow Africa partnership and the G7 New Alliance for Food Security and Nutrition. Prior to Syngenta, Kavita was Vice President for Client Services and Emerging Economies at SustainAbility, a think tank and strategic advisory firm in London. Her role at SustainAbility focused on emerging economies and the food and beverage sector. She has also worked with the World Resources Institute in the United States, as well as SmithKline Beecham in India. She holds an MBA from the Indian Institute of Management, Ahmedabad, India. Kavita is an advisory board member for the Rice Bowl Index. She was previously a board member for the Institute for Human Rights and Business, a trustee of the Business and Human Rights Resource Centre and a member of the World Economic Forum’s Global Agenda Council for Food Security and Nutrition. Kavita has also served on the executive committee for the Southern Agriculture Growth Corridor of Tanzania (SAGOT).